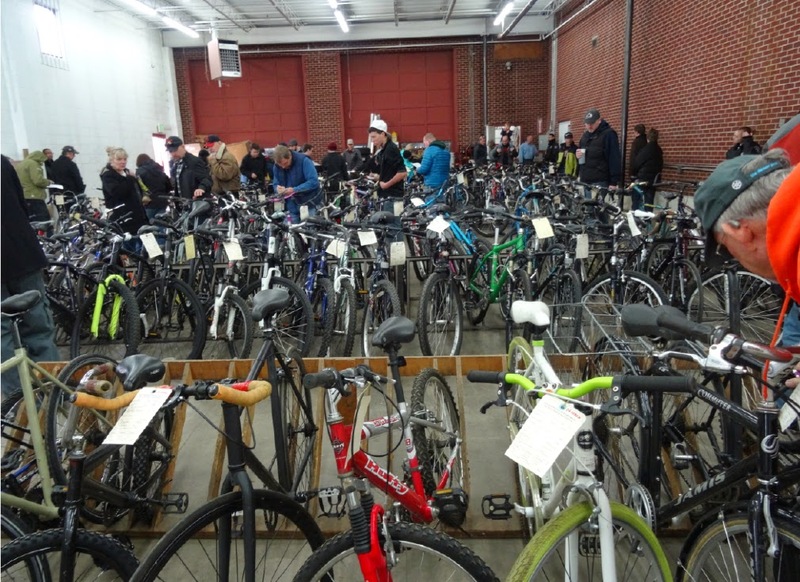 Yesterday, on a snowy morning, I ventured down to the Denver Police Bicycle Auction out of pure curiosity. I had no idea what to expect, in the end it ended up being both fun and educational. You might remember that my awesome old cruiser bike had it's origins from a police warehouse in southern California. My brother Tom bought it for me. I hauled it back, on top of my car, from California to Colorado two years ago. Whatever the price my brother had paid for that fine gift, plus the added cost in gas to drive it back to Colorado, was surely worth every penny. I love riding that bike. It's success story inspired me to attend the Denver Police city bike auction yesterday in downtown Denver. My first adopted very old, very rusty cruiser bike. It was impossible to walk through the racks of bikes at the police auction without thinking, Oh, somebody must have been heartbroken to loose that bike. Our bikes become good friends to us, having traveled the miles, they have been there to lift us to new heights or greater speeds. They have been there during our greatest triumphs, each bike with a particular purpose or place in our history. I tend to buy bikes with great thought and keep them for a long time. I also like to take good care of my bikes. To loose a bike is indeed a heartbreak. Under such loss, it might be even worse knowing someone else is out there riding it. Shopping for a new love. Racks of bikes at the Denver Police Bicycle Auction. 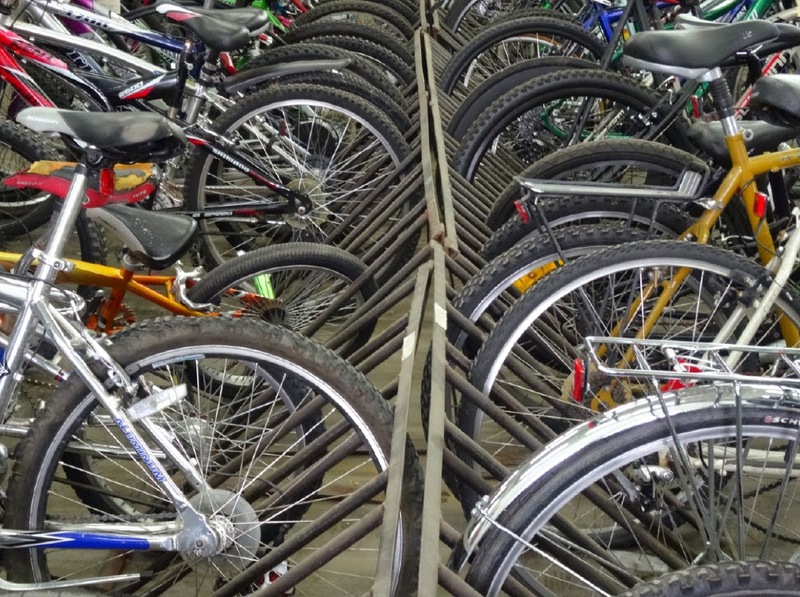 Every single bike sold to a new owner, the lowest bid was $20. 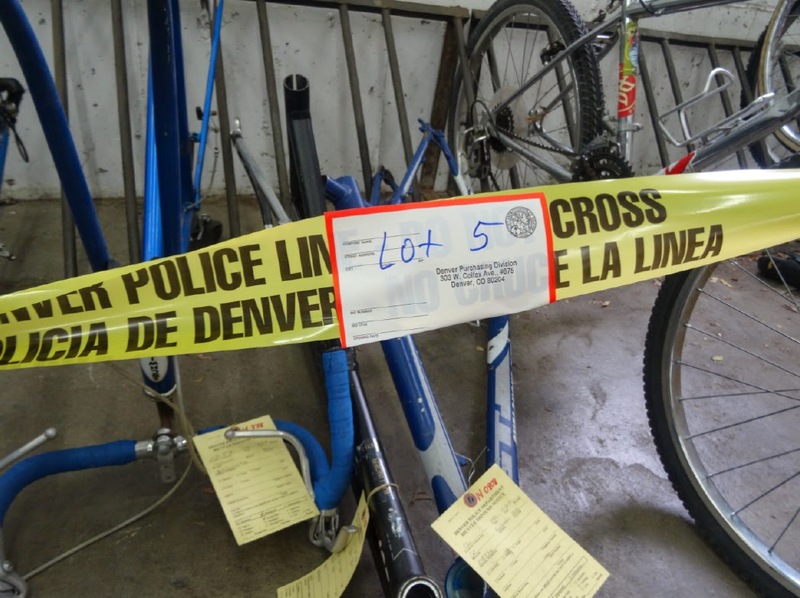 Every three months, the Denver Police Department auctions off inventory of bicycles collected from thieves or insurance companies, left abandoned or never claimed. You won't find $10,000 bikes among the racks, but you will find bikes that had meaning to somebody. I found the pattern of buyers in attendance quite interesting: some buyers went for the retro bikes, some for hipster commuters, some for kids bikes, some looking for a deal to resell, some buying junk; the majority just wanting a bike for themselves or a family member. If you have high standards - this is not the place for you. If you are curious and might be looking for an around-town bike, upon which you will NOT need to record your STRAVA segments, this might be the place for you. One thing for sure: someone is really missing these custom bikes and the new owners were very happy to pick them up. You can see the love and care that went into this bike. Awh, Somebody rode happily to work on this bike with matching stem and wheels. 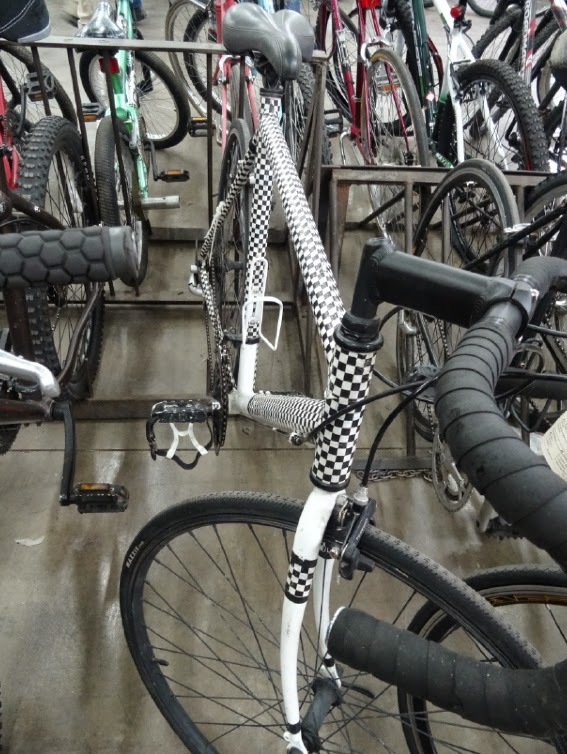 Awh, someone got all crazy with the black and white tape and everything -- you'd think someone surely would have recognized this bike as their own. Buyers present at the auction included: cyclists looking for a good $125-175 commuter bike that could be locked up anywhere; a father and son who purchased a nice Cannondale bike for $425 (I imagined the boy riding Ride the Rockies with his father this summer or racing his first race); a retro Schwinn bike for $175; a Specialized mountain bike for $150; a $50 Trek kids bike; a $50 Huffy cruiser. 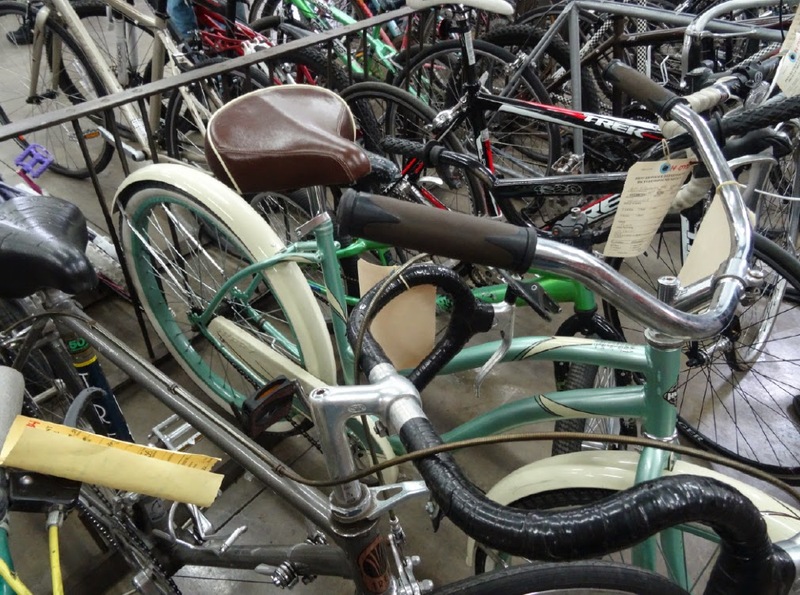 A $50 Huffy bicycle going on the auction block, next to older and newer Trek bikes. That down-shifter Trek bike to the left was very popular (click image to enlarge). Brand names also seemed important to some. In all, 120 bikes where auctioned off in just 90-minutes. The adrenaline and excitement were high. 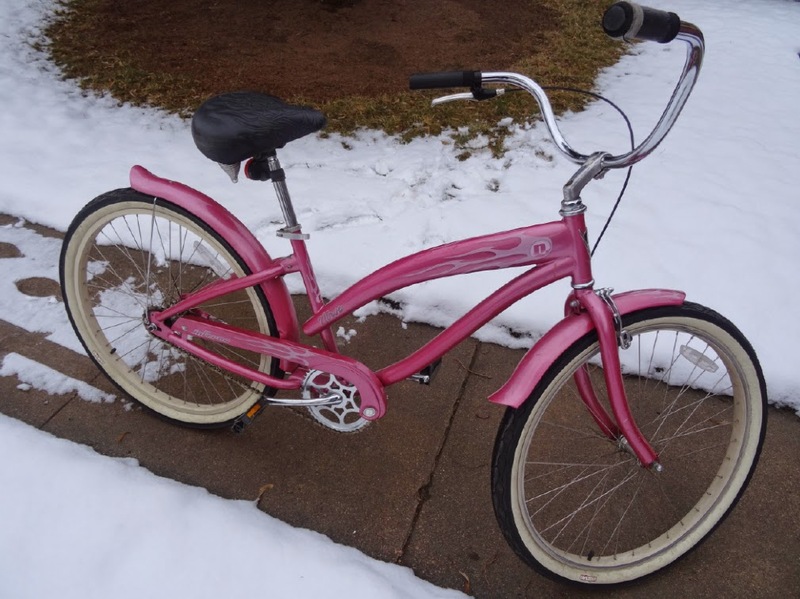 I was as happy for every successful buyer as I was for myself when I raised my bid ticket #31 to confirm a $60 highest bid for a bright pink cruiser bike. Instantly I owned a frivolously fun new bike to ride around my neighborhood park. The bike I adopted on a snowy day in February for $60. I plan to spiff it up a bit. If interested, check with your local city to see if they have bike auctions. 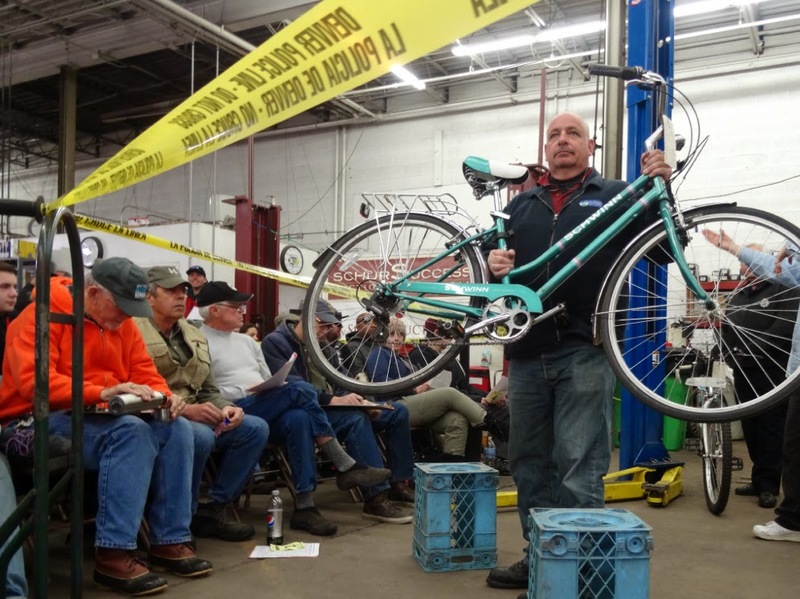 Information on the Denver Bike auction can be found here: Denver Auction Gallery. The city hires a professional cowboy-clad auctioneer company to run it's As Is/Where Is sale of bike inventory. Being at the auction felt much like buying a bull at auction - you must act quickly to the calls of the rapid auctioneer. The City of Denver is not in it to make money, rather to clear out bikes left locked around the city, and to empty their warehouse. Some bikes are pure junk (in fact one bike came with the bike lock still attached), but there are a few diamonds in the rough. 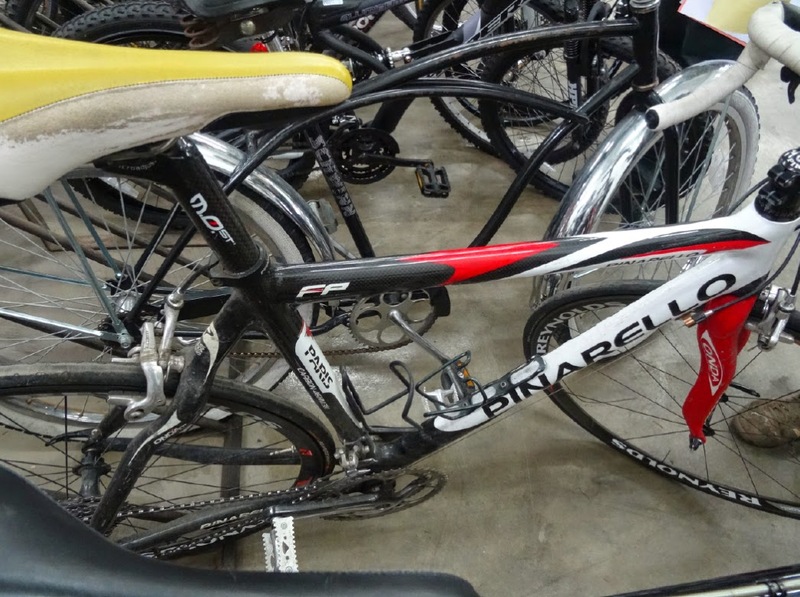 The winner for the bike I would never ride and least want to own, went to this Pinarello bike below. It had clearly been in a very serious accident (gave me the creeps), but was aggressively bid for, and went for the top price of the day - $1050. Do not buy this bike if you see it on Craig's List, it should be destroyed. Some bikes striped of their dignity, sold in lots of bits and pieces, left to nothingness except to the wise bike builder. The guy who sat two seats down from me during the auction, said he found an old Campy groupset in one of these lots two years ago and bought the whole lot for $30 (hmm, I still need a rear campy derailleur hanger - reason to go back). Some of the children's bikes went for $30. It left me wanting to pick up a couple and donate them to the numerous non-profit bike organizations which distribute bikes to children in the area (see a list here: Denver Charity Bike Organizations). Or maybe deliver a bundle of wheels to be rebuilt. Next time I go to the auction, I need to haul a trailer with me. Some rims, spokes, cogs and tires - you might find something worth saving in this Lot of wheels sold As Is. Document ownership of your bike(s): take photos and document the bike's serial number and all parts. Retain all purchase receipts. Register your bike with local and national registries. File ownership with insurance companies before a problem occurs. Do not leave your bike unattended. Do not store bikes unlocked inside home garages. Avoid locking your bike in high-risk areas of town. Never ever lock up your very expensive road or mountain bike and leave it unattended. Use staffed bike corrals or bring your bike inside with you whenever possible. Cover your bike when leaving it inside your car. Lock it twice when leaving it on car bike racks. Lock your bikes at home when leaving on vacation or if you live in a high crime area. Buy a good lock (or two!) when locking any bike on the street, secure both the wheels and frame. Remove, or take with you, any easily removed accessories. Use locking skewers on wheels, locking saddle rings and screwed-on lights. Install fixed baskets and panniers. Mark your bike so that it is easily identifiable by description. 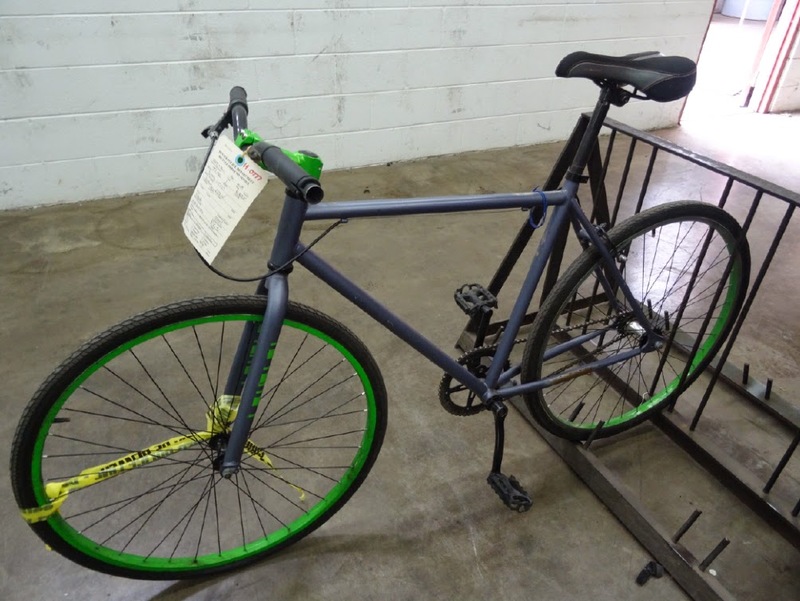 Buy a bike that you can comfortably lock up around town, like a $60-125 Denver Police Bike Auction bicycle! If you own a bike, you should register it with your local police department. 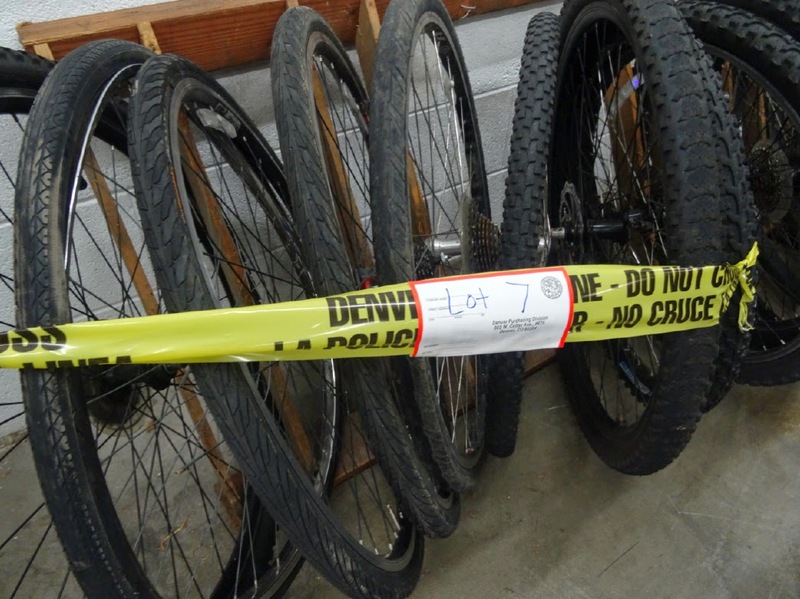 Any bike found and not claimed within 30-days in Denver, goes into the warehouse for auction every three months. 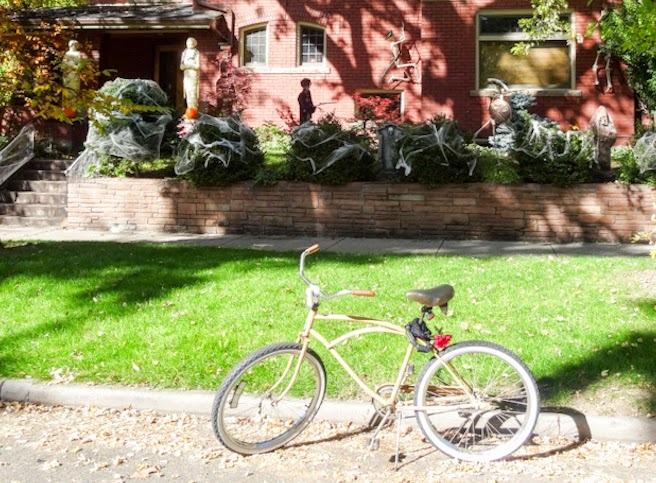 If you live in Denver you can register your bike at the Denver Bike Registry (Google for your local bike registry website). Bike Denver offers more information including filing a police report, posting the theft on Craig's List, Social Media and searching EBay. Also register at Bike Index, plus the National Bike Registry. If your bike is stolen, act fast, post flyers everywhere and at bike shops. Upon arrival, you will be required to register for the auction with your driver's license to receive a bid ticket number with your name on it. You will have about an hour to look over all inventory inside the warehouse. Make notes on the auction catalog provided. Circle the bikes you might be interested in, they will be auctioned in order of item number. The main auctioneer begins the bid (typically $20-30) increasing the amount as he sees fit. You cannot shout out an amount, instead you accept the current bid by raising your bid # card, don't be shy if you want it, bid, but keep in mind your budget. Assistant Auctioneers keep track of movement in the crowd of hundreds. If the main auctioneer points to you and says "sold.." you nod with approval (and a smile). You may leave the auction at any time to claim your property by first paying at the registration desk with cash (no checks) or credit card (3.5% fee attached), with a city sales tax added to all purchase amounts. 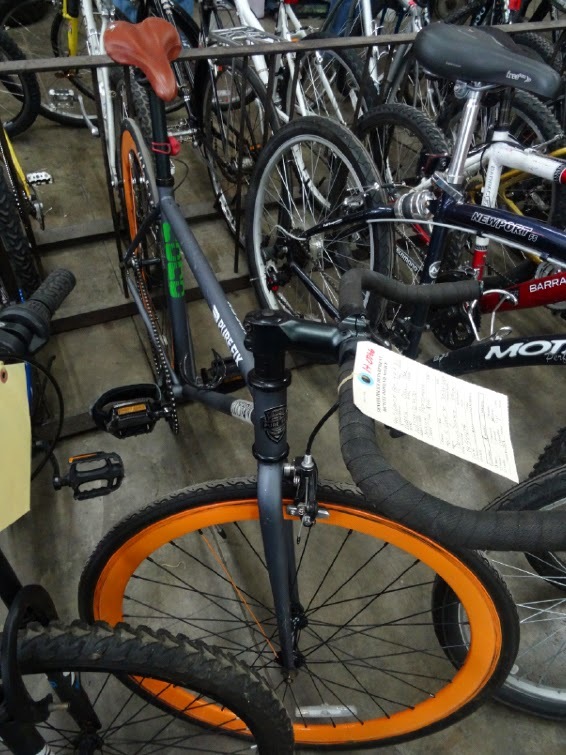 Walk your paid receipt back to the warehouse to claim your new bike. All purchases must be collected during the time window of the auction, so bring an enpty car(s) or rack. 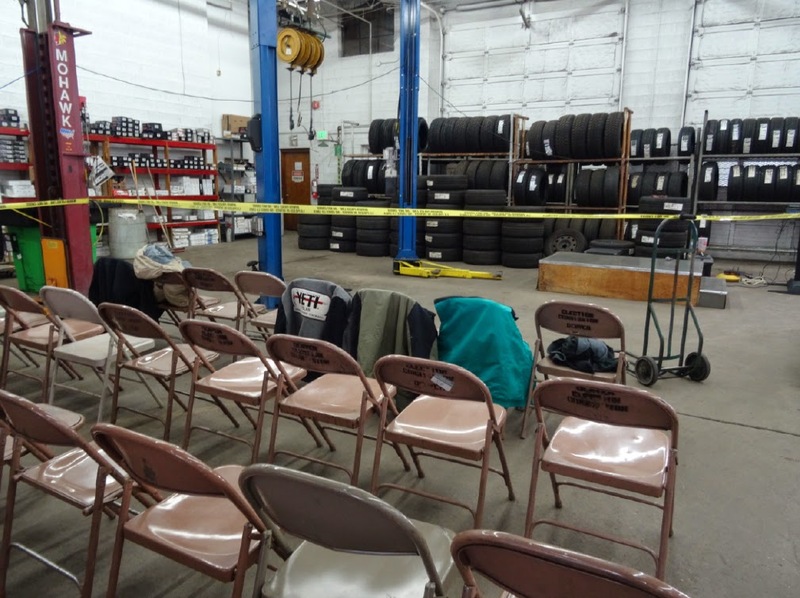 An unusual setting to buy a bike - at the Denver Bicycle Auction. Bikes waiting to be adopted. Someone bought this Schwinn bike for $175. Sorry to whomever lost it. I was very happy with my new pink bike purchase yesterday. But I learned much more - I need to take some steps to insure the safety of ALL my bikes. They are like old (and new) friends to me and I want to keep them safe for a long time.